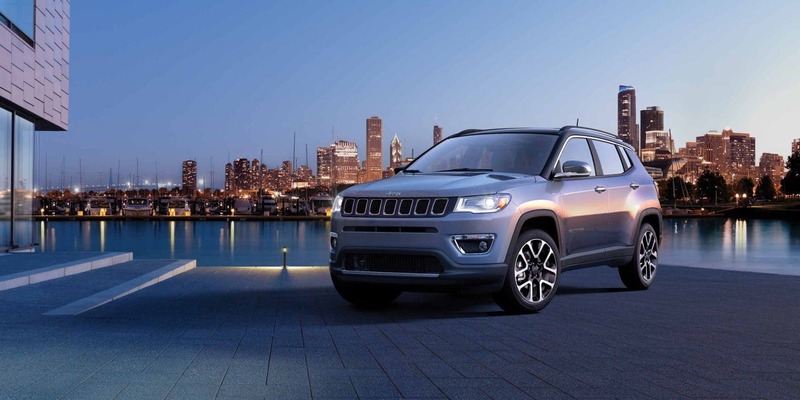 The Jeep Compass in 2019, to clear the elephant in the room, brings to bear the Trailhawk model to undeniably batter down any obstacles, off-road or not. That's why a lot of people are interested in this vehicle if we want to get up front about it - yet understand it also wields a mighty roster of excellently-featured and capable models in addition. 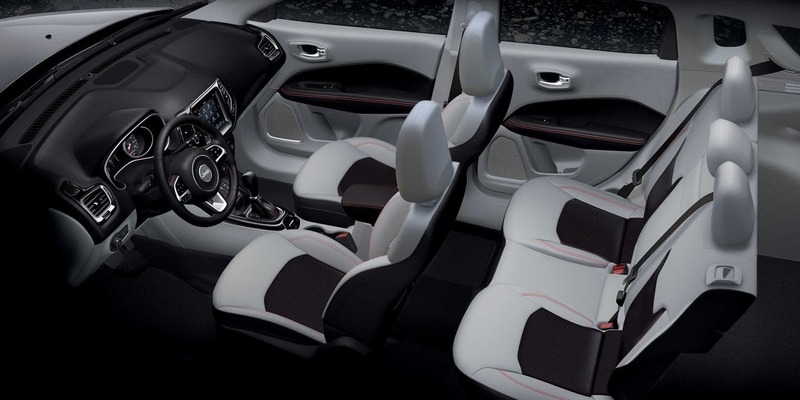 Jeep truly went above and beyond with its recent redesign of the Compass, and they substantially bolstered the 2019 version. Let's explore this powerful off-roader right now! Know that this year, the original color "Sting Grey" is added to the spectrum for exterior colors, as well as debuts standard for the Compass line the 7" Uconnect touchscreen on the Sport & Latitude models. Plus, with the FWD Latitude model able to achieve up to 22/31 city/highway, we're not sure anything could stop this renowned colossus in terms of having a range of owner-appreciated possibilities! Can you go over power-trains briefly for each model? 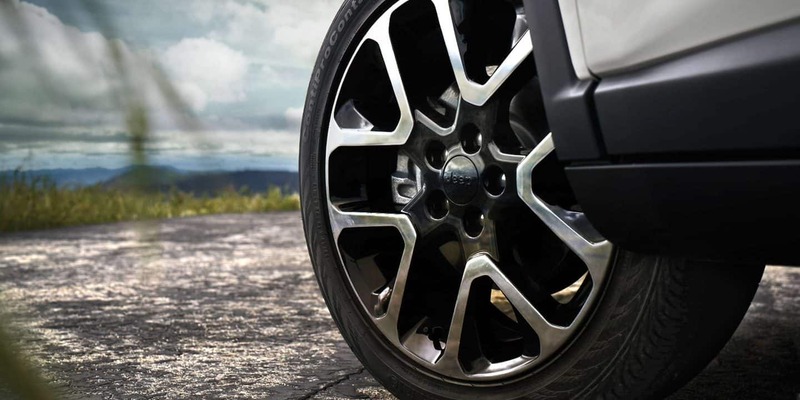 The Trailhawk is all-wheel drive, and all other models are standard as front-wheel drive with the option to acquire AWD. 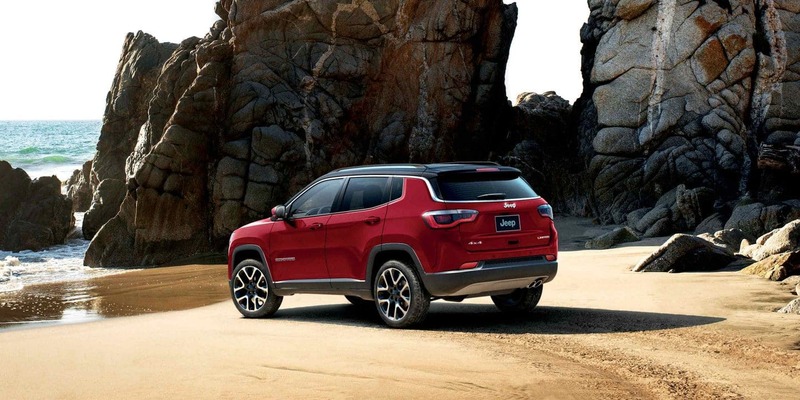 In terms of transmissions, a 2019 Compass can access either a six-speed automatic (4x2) or a nine-speed automatic (4x4). For those who want even more granular control of the shifting, there is a six-speed manual transmission that's electable for the Sport & Latitude models, no matter if they are AWD or FWD. Over on the corresponding engines, buyers will enjoy a 2.4L 4-cylinder engine as standard that gets 180-hp and 175 pound-feet of torque. To further utilize this engine, the 2019 Compass 4x4 has Drive modes as standard: Auto, Snow, Sand, and Mud. The Trailhawk model has those, plus, has a Rock mode meant for best articulation out there on boulders! 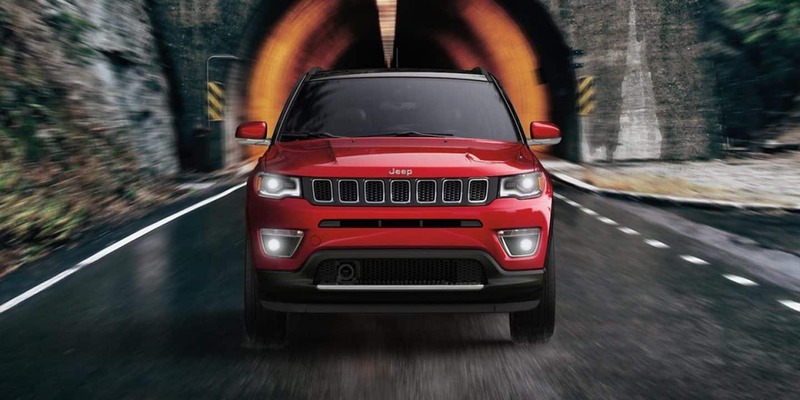 Also in the Trailhawk is the Jeep Active Drive Low 4x4 System sporting a low range, a 20:1 crawl ratio, a rear axle disconnect that changes among 2- or 4-wheel drive as required, as well as a Hill Descent Control feature. What is offered within each trim essentially? 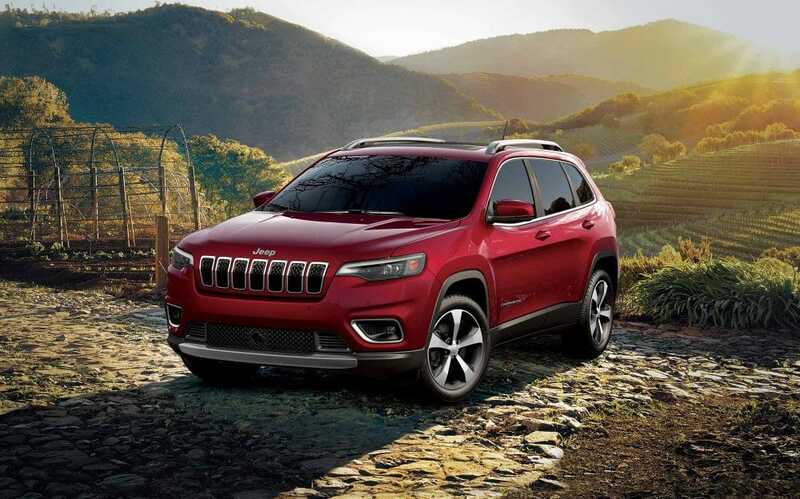 The 2019 Compass has four consolidated models identified as the Sport, Limited, Latitude, and Trailhawk, and two special editions: The Altitude model with the High Altitude Appearance Package and the Upland special edition. The High Altitude has 19-inch Satin Gloss Granite wheels, high-intensity discharge (HID) headlamps with signature LED light, Uconnect 8.4" infotainment center with navigation, anodized gunmetal interior finishes, tungsten interior stitching, LED tail-lights, Satin Gloss Granite grille surrounds, and a Gloss Black roof and deep-tint glass. Get that one and you are going to stand out from the crowd! The other special edition 17-inch Trailhawk-wheeled Upland, with a front Trailhawk-based fascia and Matte Black tow hooks. The Upland furthers the cool look with a Gloss Black roof & grille with black rings, a front suspension skid plate, silver anodized cabin elements, fog lamp bezels, and a shiny chrome exhaust tip. Over on the Sport trim, there are standard items like A/C, 16-inch wheels, a USB port, a six-speaker audio system, Uconnect with a 7-inch image touchscreen, Bluetooth. The 2019 Jeep Latitude trim has a stately driver info display, increased wheel diameters since prior years, an expanded cloth leatherette seat cushioning, keyless ignition/entry, and a power driver seat. The Latitude trim produces a leather-encased steering wheel, a surface fascia that looks amazing, auto 2-zone climate control, a remote start, satellite radio, and Apple CarPlay & Android Auto that are agreeable with the 8.4-inch Uconnect touchscreen. 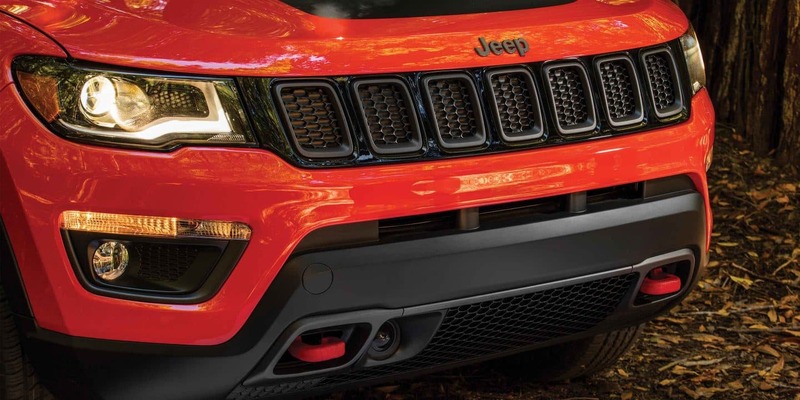 The Trailhawk goes with 17-inch wheels that spin off-roading tires, a matte-black hood, an elevated suspension, and tow hooks on the front and back. The hardy Selec-Terrain system comes into play on the Trailhawk for inclines and adverse trail traction issues. The Limited trim builds out the Compass with 18" wheels, possible heated power exterior mirrors with built-in signals, and a heated steering wheel. 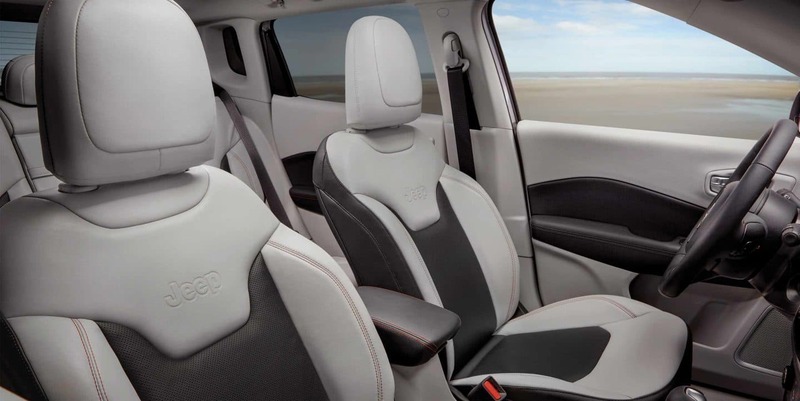 Inside the Limited trim are leather-trim, heated front seats that are 8-way power adjustable and accommodate a four-way power lumbar adjust too. Look in several models for stand-alone items like a power liftgate, a Beats audio system, a moonroof, and integrated navigation. 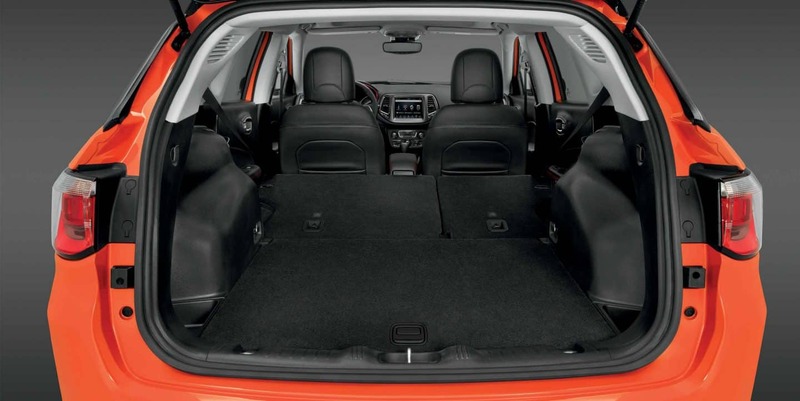 How safe is the 2019 Jeep Compass? This is a strong vehicle, no doubt about it, and in the areas of safety, it also excels! 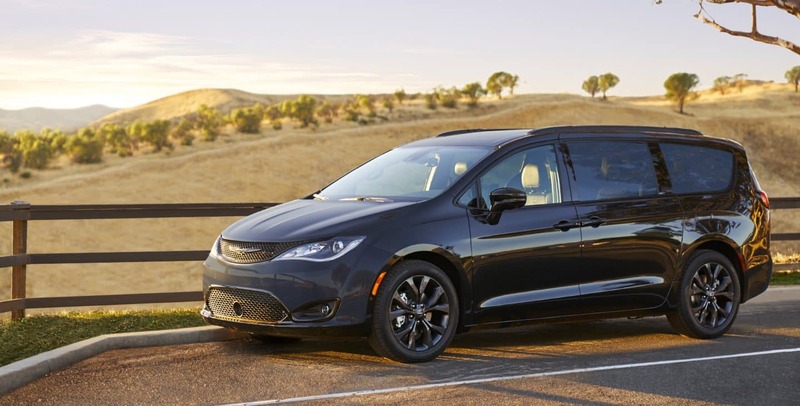 There are more than 70 ongoing potential and standard safety and/or security installations in the Compass, such as Blind Spot Monitoring, the ParkSense Rear Park Assist System, 7 airbags as standard, and a backup camera! Note as well that the Compass has a chassis that's constructed with advanced high strength steel. Further, buyers can opt for an Advanced Safety package that brings a new adaptive cruise control to the vehicle's offerings, as well as forward collision warning & mitigation, automatic high beams, and lane departure warning & intervention. Don't miss the other Packages and Groups either, as they bring a lot to the 2019 Compass. The Popular Equipment Group, for example, adds favorite items like Remote Vehicle Start and a 7" driver information digital cluster display, while the Two-Tone Paint Group adds a black roof! There are also some traditional favorites like the Cold Weather Group, the Technology Group, and the glass-tinting Sport Appearance Plus Package. 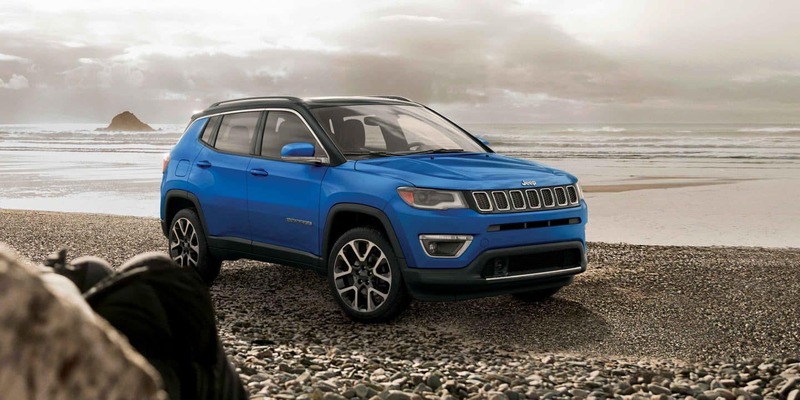 Any style you have it though, the 2019 Jeep Compass is a contender with promise, so come give us a visit when you want to talk about them some more here at Newark Chrysler Jeep Dodge!